David Taylor and Kyle Dake -- are they really rivals? Flo is touting a film about the Dake-Taylor "rivalry." But is it really a rivalry. I believe they have wrestled eight times and Dake is 8 and Oh. The college matches were all razor-close, but Dake won the freestyle matches pretty handily. Doesn't Taylor have to win at least one match to make it a rivalry? Now Dake and Burroughs-- that's a rivalry. Burrough has the advantage, but Dake at least won a couple of bouts. Dake won 1 time against Burroughs. Dake and Taylor were always paired off as being rivals because they viewed each other as their main opposition. When you think of Kyle Dake people usually think of David Taylor and vice versa. When you think of Jordan Burroughs you do t think of Dake. While Dake always won against Taylor, most of the time their matches were very close and required Dake to give his best effort and it was never a cakewalk for him. I really like Dake these days. Go USA! Excellent post, treep. Taylor and Dake both seem to be very good friends. World Champs to boot! Go USA!! My Christmas wish is that this forum moves away from divisiveness for the sake of posting a "meager" opinion that means absolutely nothing, and towards more substance. This dude who started this post is just trying to troll on David Taylor. Then he shoots himself in the foot when he brings up Burroughs because Jordan has dominated Dake the same way he has dominated Taylor. Some wrestlers just have contrasting styles and don't match up well with others such is the case with Taylor against Dake. I wouldn't say Dake is head and shoulders the wrestler Taylor is. In fact, I would put them on the same platform right now. 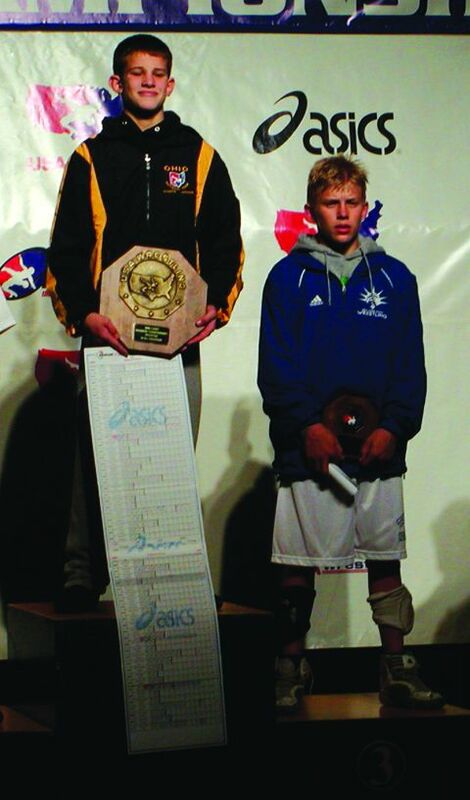 Dake won 1 time against Burroughs﻿. I believe Dake has two wins over Burroughs. Dake is 1-6 against Burroughs in WTT finals. Where else have they wrestled? I could be wrong. Maybe I accidentally counted his OT loss as a win. Actually, the OP is merely wondering about the use of the word "rivalry." To attach "trolling" to this post is just silly. Go back and re-read the OP. As far as Burroughs rival, I definitely don’t think of Dake. I would say JB’s rival is the country of Russia! Rivalry means: Which guy would you rather beat in the finals? I think the only American to actually beat JB in senior fs is Nick Marable. Dake beat him a couple of times but only in a series that he ultimately lost. As I mentioned earlier, Dake's record against Burroughs in WTT matches is 1-6. Off the top of my head, I cannot recall any other times they wrestled. Maybe so, but Taylor is undefeated in message board fantasy matches...that has to be worth something.